Oracle has released Oracle NoSQL Database llg Release 2, a highly scalable, low-latency, key-value database for real-time big data workloads. A key component of the Oracle Big Data platform, Oracle NoSQL Database llg Release 2 enables organizations to easily manage high-velocity transactional data generated by Web-based applications, social media, sensors, smart meters, and communications services (white paper available). Oracle continues to drive innovation with its unmatched technology portfolio, encompassing all aspects of data management. Oracle NoSQL Database llg Release 2 provides developers with that ‘last mile’ infrastructure to enable crucial real-time interaction between an organization’s applications and its customers. It provides a key mechanism for enterprises to maximize the value of big data. Data is stored as key-value pairs, which are written to particular storage node(s), based on the hashed value of the primary key. Storage nodes are replicated to ensure high availability, rapid failover in the event of a node failure and optimal load balancing of queries. Customer applications are written using an easy-to-use Java/C API to read and write data. 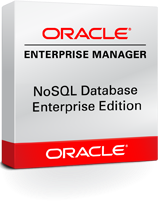 Oracle NoSQL Driver links with the customer application, providing access to the data via appropriate storage node for the requested key. A web based console as well as command line interface is available for easy administration of the cluster. Network topology and latency aware Oracle NoSQL Database Driver working in conjunction with highly scalable, fault tolerant, high throughput storage engine enables a more granular distribution of resources and processing, which reduces the incidence of hot spots and provides greater performance on commodity based hardware. You should use RMAN to recover and backup sql database. A backup is a copy of data. This copy can include important parts of the database such as the control file and datafiles. A backup is a safeguard against unexpected data loss and application errors. If you lose the original data, then you can reconstruct it by using a backup. Oracle Big Data Database Appliance. 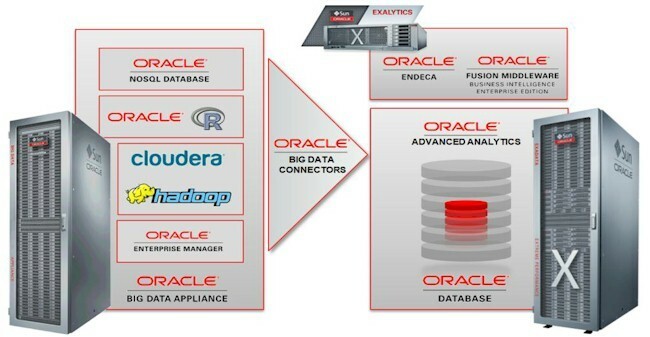 Oracle Big Data Connectors have been enhanced to enable greater database SQL access to Hadoop from Oracle Database. Oracle Big Data Appliance is an open, multi-purpose engineered system for Hadoop and NoSQL processing. It runs a diverse set of workloads – from Hadoop-only workloads (MapReduce 2, Spark, Hive etc.) to interactive, all-encompassing interactive SQL queries using Oracle Big Data database SQL. Big Data Appliance provides an open environment for innovation while maintaining tight integration and enterprise-level support. Organizations can deploy external software to support new functionality – such as graph analytics, natural language processing and fraud detection. Support for non-Oracle components is delivered by their respective support channels and not by Oracle. In addition to providing Oracle Big Data database SQL and the full Cloudera software platform, Big Data Appliance utilizes Oracle Big Data Connectors to simplify data integration and analytics. Big Data Connectors provide high-speed access to data in Hadoop from Oracle Exadata and Oracle Database – with data transfer rates on the order of 15 TB/hour. Big Data Connectors also enable integrated, highly scalable analytics – providing native access to Hadoop data and parallel processing using Oracle R Distribution. Finally, Oracle XQuery for Hadoop facilitates standard XQuery operations to process and transform documents in various formats (JSON, XML, Avro and others), executing in parallel across the Hadoop cluster.